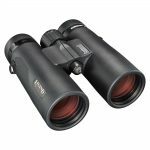 It doesn’t matter if you are looking for a camera to discover what critters come to visit your backyard at night, scouting out an area of wilderness to find out about the wildlife, or using one of these cameras to prepare for a hunting trip; you want have a camera that will take good pictures and videos reliably. 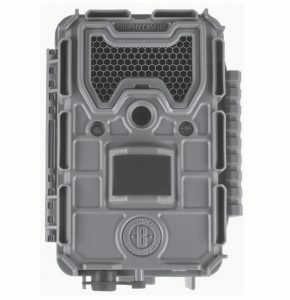 In our research into trail camera’s one of the models we looked at was Bushnell’s Aggressor 20 Megapixel, No Glow Camera. This isn’t a camera that we personally choose to go with, but we are sharing our extensive research and maybe this will be a camera that is right for you. We are going to cover the main features of this model of the Aggressor Trail Camera. First, we will look at the still picture and video quality, the trigger speed, and how it functions at night. Then, we are then going to cover some of the features and look at what is new and what is missing from earlier Aggressor models. Finally, we will look at what comes with the camera, what you’ll need and what other customers have thought of the camera. If you have a particular question about the camera you might want to check out the table of contents, located right below here. Otherwise, scroll down a bit and learn all about what we uncovered about the Aggressor 20MP No Glow Camera. Before we get into the quality of the still photographs and videos it’s worth noting that one of the new features of the Aggressor 20MP is a hybrid capture mode. The Hybrid mode allows you to capture high resolution pictures and video for every trigger event. 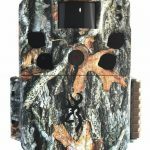 This is a great feature if you’ve ever taken a still photo of an animal with your trail camera and thought that it would have been great to have a video to see more of what was going on. The drawback of this feature could be you will fill up your memory card quicker. You may also need to check on your camera more frequently if the SD card is filling up faster. Bushnell’s 20MP Aggressor camera at first glance should produce higher quality photos than their older 16MP model. 20 Mega Pixels is better than 16, right? Unfortunately from reviews and customer feedback this isn’t the case. There is a problem with this model of not being able to manually adjust the brightness for day time still photographs. Depending on where you set up your camera and what the lighting is you may wind up with pictures that are too dark. The answer to this problem might be just move the camera and try other angles and placements to get better lighting. If you have an area you want to scout out, do you want to try to figure out alternate angles and go through the process of testing with pictures out in the field? It is also noted that the picture quality can be very inconsistent. Some of the pictures we’ve seen lack the sharpness of other trail cameras. The quality at times could be described as dull. While the photo quality was disappointing that isn’t the case with the video quality. The video’s default resolution is 1280x720p, but you have the choice between a lower quality video at 640x360p, or go for a full high quality HD video at 1920x1080p. By default the videos record with sound, but you have the option of turning off the sound. This can be helpful if you aren’t interested in sound or are recording critters that don’t make a sound and wish to save storage space. People have mixed feelings about the new Dynamic Video feature. Dynamic Video uses the movement of the animal being recorded for the camera to decide how long to film. The duration for videos shot during the day is between 5 seconds and 2 minutes. At night with the flash setting at low or medium the camera records for 5 and 60 seconds, and at the high setting for 5 to 15 seconds. In theory this feature would fix the problem of the user selecting a video length only to have the video stop at the set time, but right in the middle of an interesting activity happening. In practice user report the opposite happening, the video recording switching off because an animal isn’t being active enough. An animal being still could turn off the video, but it’s movement that you were looking to capture after the stillness could be missed in the time response time for the triggering event. There is probably no perfect solution here, but we feel less annoyed when it’s our own decision to record for only a certain amount of time that causes us to miss something than the inner workings of a camera making the decision for us. We saw some complaints that the viewing angle of the lens was as wide as typical surveillance cameras. This could be an issue if you are looking to use this as a surveillance camera, but it was designed as a trail camera but one which could double for home security. We think that a traditional surveillance lens would distort the images and videos of the animals. This is all about what your intended use of the camera is, are you looking to use it for a general idea of what is happening on your property. Or are you looking to capture interesting photos and videos of animals? The trigger speed is slightly faster than on the lower priced Essential E3 Trophy Cam. Photographs have a trigger speed of .25 seconds, while videos have a speed of 1 second. The trigger speed is the amount of time between the detection of motion and the camera recording. The Aggressor gives you choices for what the interval between each trigger event can be. By default the camera will wait 10 seconds between one event and the next. This setting can be changed and you have the choice of choosing by minute increments between an hour and 1 minute, and under a minute you can choose by the number of seconds down to 3 second. Below 3 seconds there is a .6 seconds trigger, which will give you the maximum number of pictures but the quality could hit and miss. In the settings you can choose if you will take a photo, record a video or use the hybrid mode which will do both for each trigger event. There is no longer an option for choosing the length of the video. Instead the camera dynamically records based on movement. By default the camera takes one photo for each event, but you can change this to 2 or 3 pictures for each detected movement. The Aggressor 20MP also features three presets. The settings are Feeder, Trail and Food Plot. Feeder uses a three minute interval and takes three still photos for each trigger. The Trail setting uses a high stutter speed and the super fast .6 second interval. The last preset, Food Plot, takes the the smaller 4K picture and shots at a two second interval, but only between the hours 5:30 and 9:00am and in the evening between 3:30 and 7:30pm. The Bushnell Aggressor 20MP Trail Camera uses Hyper Passive Infra-Red (PIR) for motion detection. With Hyper PIR motion is detected based on a combination of changes in heat and movement in the cameras range. Motion is detected at around sixty feet with the Hyper PIR, which is about ten feet more than with the Essential E3 model, but still below the stated 100 feet that each camera is advertised at. The trigger isn’t sensitive enough to capture the movement of insects, which is probably a good thing unless you are looking to scout insects but if you are then you will want a different camera. Depending on where you set up the camera, the movement from branches could activate the motion sensor and give you some very nice but uneventful landscape shots. 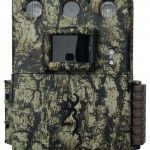 One user reported on line that their camera had problems with triggering at all, and they only knew this because another trail camera set up in the area was capturing the movement of deer that went undetected by the Aggressor. Along with the PIR motion sensor, the camera can also be used in the Field Scan 2x mode. Field Scan allows you to set up a preset interval for pictures or video to be taken. In this mode you program in how often you would like the camera to shoot a photo or video. You select up to two blocks of time when you would like the camera to record, and then choose in each block how often you would like the recordings to be made. The Field Scan mode can be used along with motion detection. The camera will record at the intervals you select, but in between them will also record any animal movement that triggers the camera. The Bushnell Aggressor 20MP Trail Camera has settings for day and night usage. By default the camera will work 24 hours per day, but the user has the choice to select between day or night only use. This is good if you are interested in photographing animals that visit your yard at night, but don’t want to shift through pictures of you and your family moving about your yard during the day. The Aggressor No Glow model uses black LED lights for the flash. You can choose between the power of the flash, and have the option to remove the Anti-Reflection LED cover for even more brightness. The higher flash levels will cause you to go through batteries quicker though. Because of the black LED lights, humans and animals will not be able to see the flash. This feature makes the Aggressor to be ideal to double for home video surveillance (although without having cellular capabilities in this model, you would still only be able to see the activity after the fact). The shutter speed can also be adjusted when the camera is in night mode. Using the high speed NV shutter option you can achieve stop motion photography at night. Although the instruction manual does give the warning that using this option may result in overly dark photographs. The Aggressor operates between -20 to 60 degrees Celsius (-4 to 140 degrees Fahrenheit). People living up North will want to keep this in mind if they are looking to use the camera in the dead of winter. The water resistant case will protect the camera from rain and snow. Bushnell is known for making durable cameras, and the case on the Aggressor takes the previous ruggedness and adds an improved latch and made the cable lock channel stronger. We did see one report of the camera being dropped just a couple of feet and damage being caused to the LED screen. The cases on the Bushnell cameras are of high quality, so we think this might have just been bad luck in making impact in some way to cause the damage. Unfortunately, we don’t really want to go buy a bunch of trail cameras just to drop them and see if they survive the fall. We do suggest that if you are concerned about the durability and not having your camera get stolen to invest in a security box that can lock up your camera instead of just relying on the straps to keep your camera in place. Supposedly the Aggressor has a 1 year battery life. You will only get that type of life from your batteries if you rarely use the camera. Some of the settings, like the highest flash setting can drain batteries quickly. One of the most common complaints about this camera is the short battery life, with people reporting getting barely a month out of a set of batteries. With the Aggressor 20MP definitely consider the price of having to replace the batteries fairly frequently. There is a solar panel battery pack that is available to use with this model, if you choose to get this accessory the camera will only use the batteries in the camera once their isn’t adequate power available from the solar pack. 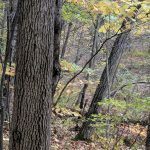 On-line the Aggressor 20MP No Glow Trail Camera gets average ratings. Going through all the reviews certain issues kept seeming to come up. One of the big problems people reported was the grainy and dull quality of the photographs taken with the camera. The other main issue was with the fairly short battery life. Another common complaint was the inability to manually select the video length, which was something we talked about above. There were some kind of bizarre reports, like one researcher who bought a number of the cameras and found that some of them would randomly reset the date and time while in the wild, four of them would no longer take photographs after the batteries were changed and one stopped working completely after an hour. One review also pointed out that a registration card came with the camera and when the person went to the website to register the camera they found themselves on a malware/virus site. Apparently Bushnell no longer uses the site for registration and it’s being used by some unscrupulous individuals? On the plus side people were very pleased with the video quality, the range of the motion detection and the trigger speed. There were also praises for the picture quality, especially for people using the camera for surveillance. The majority of the positive reviews though were from people who had received a free review model of the camera. We aren’t saying the reviews are biased, but it’s something to keep in mind when making a decision. 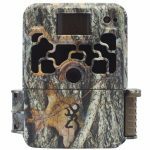 The Aggressor 20MP No Glow Trail Camera comes with the camera and the strap needed to mount it. You also get the instruction booklet, which will guide you through all the settings and how to change them. While the SD card is optional, the camera will only hold about 20 pictures without it. After that you will have to attach the camera to a computer as if it were an external USB drive and remove the pictures that way. So the SD card is optional, but not really optional. Bushnell recommends using an SDHC card of up to 32 GB. The SDHC is recommended if you are recording in the higher quality video settings. You will also need batteries. The camera requires 8AA Lithium batteries. Batteries do not come with the camera. You may also want to invest in the solar panel battery pack and a security lock box for your camera. As we said at the start of this review, we choose not purchase this camera. The negative reviews that we read were a big factor in the decision. The new features in this model of the Aggressor felt like they weren’t really an improvement. For the features added there was also less fine-tuning the user could make on photo quality and video length. For every person that seemed happy with the pictures there were at least two or three reviews that weren’t. People wrote about the inconsistent quality of the pictures and the grainy output. Even the pictures that were posted in other reviews weren’t all that great. We would recommend the Bushnell 16MP Trophy Cam over this one. Intuitively, one would think that a 20MP camera would take a better picture than a 16MP. From the examples we’ve seen the lower end model outperformed the Aggressor. Click here to find out current prices for the Aggressor 20MP No Glow Trail Camera.